People who know you today might be quite surprised to know what you’ve experienced, suffered, endured, and overcome. Anyone with a victorious testimony, likely had someone who saw their hidden talents, the possibilities of their impact, and the potential of their future. They had someone who didn’t offer them their sympathies but instead, extends their hand. Dr. Reggie Jones was that person for me. 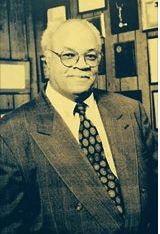 Dr. Jones served as the Executive Director of the Chicago Area Health and Medical Careers Program (CAHMCP). He was relentless in his pursuit to increase the number of qualified minorities in medical and health professions. I had the pleasure of making his acquaintance when I was 17. Over the years he guided my educational decisions, supported my research, co-authored my first publication, and knew my husband and son personally. Though I did not become a medical doctor, he wrote my recommendation for graduate school and saw me earn my doctorate degree. Dr. Jones, along with (the late and amazing) Ms. Joan Kruger, Mr. Bradley, and Ms. Pamela Cratic-Howard helped redirect my course and as a result, dramatically changed the trajectory of my future. Each of you may never know how much you mean to me. Dr. Jones, thank you for being a role model, mentor, and a friend. You were exceptional and are irreplaceable. Thank you for living a remarkable and selfless life. You will be incredibly missed.